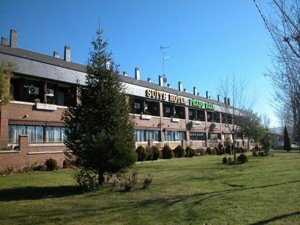 Located in Soto del Real, this hotel is 42 km from Madrid. 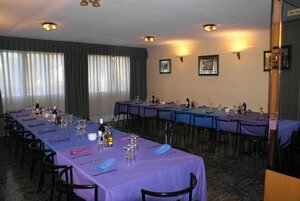 It is to the north of the province in the surrounding areas of the Sierra of Guadarrama and not far from the Pedriza, a traditional centre for hiking visitors to Madrid. The municipalities of Manzanares el Real and Colmenar Viejo y Miraflores de la Sierra are also close at hand. 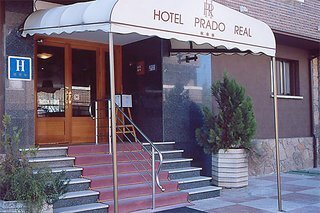 Barajas International Airport is some 35 km from the hotel.This city hotel is a modern air-conditioned establishment with a total of 50 rooms, furnished in a comfortable and functional manner. 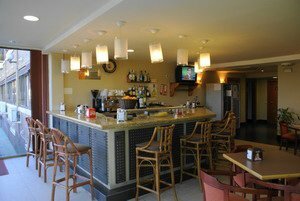 In addition to a hotel lobby with 24-hour reception and check-out services, the hotel's services and facilities include a bar, cafeteria, restaurant and 12 meeting rooms.The rooms have a direct dial telephone, wifi Internet access and a satellite TV, as well as a private bathroom with a bathtub/shower. Further standard features include a mini fridge, individually regulated air conditioning units, central heating, a terrace and a safety deposit box (for a surcharge).There is a pool in the hotel grounds.When coming on highway M40 in direction of the M607/A1: Take the exit to Highway Colmenar M607 in the direction of Tres Cantos/Colmenar Viejo. Continue along this motorway until it terminates and turn right at the roundabout, heading in the direction of Soto del Real, Miraflores de la Sierra for approximately 8 km. On entering the village you will see a roundabout. Follow signs to the town centre.